Are you looking for a thrilling game that will give you goose bumps? Are you up for fun and surprises? Do you have a healthy heart and great courage? Then Halloween Maze game is a must-trust game for you. Halloween Maze is one of the many versions of Scary Maze games. If you think you are brave enough and you have what it takes to get to the end of the maze, then enter this scary maze and see what is at the end of it. There are five levels to complete. And if you are able to complete all five, there is also a bonus round. The path of each maze becomes narrower as you level up. And the twists and turns also increase with the levels, making it harder as you progress. There seems to be lots of obstacles as you cross the maze, too. As you play Halloween Maze, it would be best to turn on the sound and make it a little high to get the dreadfulness ambiance. Try playing it with lights off too. Then start the game and be prepared for anything that might happen. That depends on how you will cross the maze. Make sure to hold your mouse tight. The game will test your hand-eye coordination. One wrong move and you will get your prize. It also tests your concentration skills. How much concentration can you give to the maze with all the flying bats, spooky ghosts and the crawling spiders crowding the screen all over? You can share the game with friends and even with kids. Advise them to turn up the volume and off the lights. Watch them play if you may and see their reactions when the surprise turns up. Yet, exciting as it may be, Halloween Maze is not a game for those with a faint heart or heart condition. From the first Earn to Die game, so many sequels had been released. All of these sequels have one gameplay: drive a vehicle while killing zombies along the way, upgrade it and acquire two more vehicles which you will also upgrade. Only the third vehicle can make it to the goal provided it is fully upgraded. In the conclusion of the game series, Earn to Die 6 or also known as Earn to Die 2 Exodus game, you as the survivor will head to Refuge Harbor for the Exodus Military Base cannot hold back anymore. The game started with a video clip where you have seen a broadcast where survivors are being advised to head to Refuge Harbor immediately for their last transport is about to leave for said Harbor. From there, they will be brought to a safe place. But to get there, you will need a vehicle. You first car in the Exodus game is a jeep. You also have thirty dollars which you can initially use for upgrading. It would be best to upgrade your fuel tank first so your vehicle can run farther. Each run is equal to a day. You also earn cash each time you run which amount depends on how many zombies you have killed and how long you have reached. At the end of the day, you should upgrade your vehicle so it would reach longer distance the next day. In this Exodus game, you will unlock the next vehicle when you finish the first level. However, all upgrades you have made in your first vehicle are not applicable or compatible with the other vehicles. So you will be upgrading the second vehicle again from scratch. The same is true with the third vehicle. You will unlock the third vehicle when you finish the second level. The Exodus game, like any other Earn to Die games, is an addicting challenging action adventure game. You will surely be hooked up to the game as you play. And if ever this is your first time to play an Earn To Die game, you will certainly love to play all other Earn to Die games. Do you like challenging adventure game? If you are an animal-lover and loves training them, you will surely enjoy the duck life 1 game. Your challenge is to train the duckling in different skills and win tournaments. In duck life 1, you play as the farm owner. And the story began when you lost your farm and everything in it to a great tornado. All crops, livestock and even structures were devastated. Nothing useful was left except for one duck egg alone. Upset at what had happened to your livelihood, you thought of training the duckling the moment it hatch from its egg to be a good racer. Duck racing is widely held in your place. You are not a gambler, yet you intend to use the winnings in reinstating your once beautiful farm. Test your patience in training your duckling in duck life 1. There are three skills to train your duckling. You will train it to be fast in running, in flying and in swimming. The game interface is friendly. You will find the different tabs at the top of the Main Menu screen. The tabs are: Enter Race, Train Running, Train Flying and Train Swimming. You will see the levels of your duckling’s running, flying and swimming abilities and the level of its energy at the top left of the screen. There are various races to join which are held in different places. You will win a specific amount of coins and unlocks a hat style or a duck color whenever you win first place in a race. Use those coins to buy seeds for your duckling. There are two kinds of seeds to feed your duckling: the ordinary seed and the skill seed. The ordinary seed which costs one coin increases your energy level. While the skill seed that costs ten coins increases not only your energy level but also your skills levels. In duck life, you can also use your winnings in the Duck Shop. There you can buy hats and duck colors. However, hats and duck colors do not affect your duckling athletically. They only make your duckling trendy and in fashion. Red Ball 6 is another sequel in the game series Red Ball which you will find in the red ball official site. This can be considered as one of the most favorite games of online gamers. Just like in the previous series of this game, the Red Ball should be guided in its journey until it finishes the level. Do not be smug because you will encounter different hard obstacles along your way. Try your best to get through all these challenges and have your mission accomplished. Another exciting add on in this series is its colorful graphics and good storyline in every episode. This will surely hook your interest in playing Red Ball 6 in the red ball official site. Red Ball 6 is the final sequel of Red Ball 4. This series has new interesting levels, harder obstacles, stronger enemies and exciting achievements. Though, your ultimate mission is to bring the ball at the end of every level, it is also your mission to prevent the bad black squares’ Big Boss from making the whole world into a dark black square. Take an extra care in going to the deadly factory. Take note, in the said factory, red balls are turning into red squares. Just jump, roll, jump and roll along different hurdles along the way. Your accomplishments are being recorded in the achievements room. You can find that by checking the level set menu. As you continue your journey, do not forget to get the stars that you will see on your way because that will give you a satisfactory score. Take note, black squares are always a hindrance in attaining your goal. Worry not, you can easily kill those by jumping on them but be careful and do not let the lasers hit you in anyway. Remember, when you jump and fall, that is equivalent to a life loss. Red Ball 6 has fifteen challenging levels to accomplish. When you reach the last level, the Big Boss is waiting for you to challenge him. He is not an easy opponent, but if you really want to have the game favored on you and have it finished, do all your best to defeat him. Play the game for free in the red ball official site. Do you want an exciting game that could give you some adrenaline rush? Play the Vex game series then. Do some running, jumping, swimming and sliding. Move fast but be careful. Do not be caught on obstacles and traps. Play the first Vex game first as a warm up. And when you are through with Vex 2, be ready for more and brand new adventure in the third installment. You can Play vex 3 for free in gaming sites that offer it. Vex 3 is the third sequel of the game, and probably the hardest among the three. It is filled with more complex strategy and challenging levels. It is more than a skill game of running, jumping, swimming and sliding. And remember, you can Play vex 3 for free. Here is a short walkthrough of the early stages of the game. At the beginning of the game, there is a short tutorial where you will learn the basics and some of the obstacles you will encounter in the succeeding levels. Just like in the previous versions, the spikes are not your friend. Falling too high is fatal. There are platforms than fall down when you step on them, so you must run fast when going through them. You should not be squeezed in between platforms. It is said that Act 1 is a recap of Vex 2, there are old obstacles from Vex 2. In Act 2, you will be playing underwater. You must pay attention to your stickman’s breath bar so he will not drown. Also, you will also push and kick some boxes to where they should be in this level. You will also do a lot of wall jumping and wall climbing. Act 3 introduces swing balls and ice blocks. In Act 4, you will encounter more obstacles and new platforms. There are blocks with arrows which are called Speed Blocks. When you run through them, they will make your stickman run faster to the direction of the arrow on them. Lasers are also introduced. In Act 5, more dangerous obstacles are added. Vex 3 has ten standard levels and nine challenge stages. You can find complete walkthrough videos over the internet. You can Play vex 3 for free using this link. Every living thing in this world has a purpose and importance. One of the most underrated living things are the insects. Most often than not, people are scared and irritated with insects due to certain reasons like their looks or smell. But some are clueless that insects have their purpose and importance in the ecosystem. We should be aware that they are not all dangerous and should be given care and respect instead. To appreciate their worth, there is a flash game that incorporates a type of insect. The name of the game is Bug on a Wire. The bug, which is the main character in this game, is continuously moving on different wires above. Your mission as the player is to keep the bug on moving by hurdling the obstacles on its way. Control and navigate the bug by making it jump all over the crows and other stuffs to stay alive. As long as the insect is running and moving, you are good to go but if it touches one of the hinders, you will have to restart all over again. Are you looking for a game to spend some spare time? Do you want a game where you do not need to exert too much effort? Play the game Civiballs then. It is a fun logic skill game where you will cut the chains of the balls considering where it will go and what will happen next. You main goal is to get the balls to the amphoras with the same color as the ball. There are three countries to explore: Greece, China and Egypt, each with ten levels. So you will be solving thirty levels in all. Some levels are easy, some are a bit hard but not impossible to solve. Mostly, you need to cut the chains at the right or precise time. Civiballs is a challenging but addicting physics game. If you ever got stuck in a level or you feel like giving up, you can check the Walkthrough for help. Ride across deserts, volcanoes and even in the moon in CycloManiacs Racers. Explore different tracks and enjoy the beautiful sounds and sights that the game has to offer. Race to the finish line and see who gets there first while jumping up and down and flashing your sick tricks. This bike racing game will be one of the games that you will be playing for a very long time. Races happen in different worlds, or areas, where in you have to win medals to unlock the next stage. You make your racer accelerate or decelerate by using the Up and Down arrow keys or the W and S keys. While in midair you can use the left and right arrow key or the A and D key to make your racer lean forward or backwards. The X or Spacebar will make your racer perform a bunny hop or if you time it really well while jumping off a ramp you can increase the jump’s height. There are 20 racers that you can play with, each with different bike and style. However, they are not yet opened as you start CycloManiacs Racers and you will have to unlock each of them one by one by accomplishing some tasks that require some of your riding skills. The areas and worlds are also unlocked by the same pattern; race, win and complete task. You will also win cash after each race that can be used to upgrade driving stats; these upgrades are applied to all of your racers so you won’t need to upgrade each one separately. CycloManiac Racers is a fun racing game that will take bike riding to the next level, check out the wide selection of the characters and learn how or why they are racing. There are ninjas, pirates, daredevils and even dinosaurs that ride the bike, a little story can be read for each in the character select menu. Try out the game at http://cyclomaniacs3.net/cyclomaniacs-racers. Are you looking for a game that will give you much fun but less thinking? Play Red Ball and help the ball as he go on his adventure. Your goal is to help the red ball reach the final flag found at the end of each level. There are twelve levels to venture. As you advance in the game, you can expect harder and longer levels. More obstacles are also added. But nothing to worry, the difficulty is just challenging enough to have fun. Besides, you have unlimited life. And for your convenience, red flags which serve as check points were also added along your way so you can start from the last checkpoint you have reached if ever you fall or die. If you ever got stuck in a level, a walkthrough is also available. 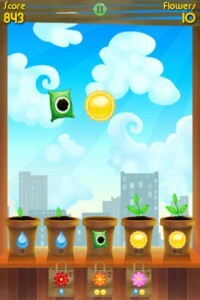 Enjoy playing this strategy adventure game at www.redball4.org.